This was the statement of regional director Abner Caga of the Philippine Information Agency (PIA) Caraga during the opening of the Three-Day Seminar-Workshop on Basic News Writing, Script Writing, Photography, and Video Production held on Monday at the San Jose Pension House, Justiniana, San Jose, Dinagat Islands. “PIA is here with you today for this training, no matter how far we have to travel because we care for the information officers in the region. We should develop their skills and make them productive in their position,” Caga remarked. Caga further disclosed that Dinagat Islands is a fertile ground to create change. He emphasized that the best way to communicate is through the heart. “Our agency, in its earnest effort chose to conduct this lecture to help enhance the skills of our local communicators,” stressed Caga. 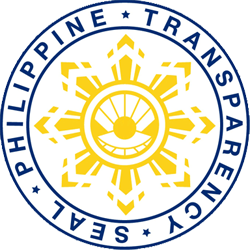 The good director also expressed his optimism that the local communicators in the province will be able to level up its strategies and means of communicating to the public. MANILA, April 14 (PIA) - The Food and Nutrition Research Institute of the Department of Science and Technology (FNRI-DOST), the municipal government of Mulanay, Quezon, and the DOST Region IV-A (CALABARZON) signed a Memorandum of Agreement (MOA) on the production of complementary food. The MOA signing was held on 10 February 2014 at the Municipal Function Hall of Mulanay in Quezon Province. Present during the event were Dr. Mario V. Capanzana, FNRI Director; Dr. Alexander R. Madrigal, DOST IV-A Regional Director; and Hon. Joselito A. Ojeda, Mayor of Mulanay, Quezon. “Commitment, commitment, commitment," is what Mayor Ojeda stressed in his welcome remarks as he challenged local officials regarding their commitment to the technical assistance extended by FNRI through the DOST IV-A. According to the 2008 FNRI National Nutrition Survey, Mulanay, a first class partially-urban municipality of Quezon, ranked fifth for malnutrition problem in the province. It also has a poverty incidence of 59.7 percent, as quoted in a Mulanay news article posted in the Philippine Information Agency’s (PIA) website (2012). Dr. Madrigal, in his Opening Remarks lauded Dr. Capanzana for the prompt response in his invitation to attend the event despite of a short notice. The recent MOA signing marks the 4th collaborative project in the region between the FNRI and the DOST IV-A, Dr. Madrigal added. Dr. Madrigal also mentioned the complementary feeding program and other activities conducted by the FNRI and other DOST agencies, and at the same time, presented the line-up of the DOST projects for Mulanay. Dr. Capanzana, in his message, discussed briefly the FNRI’s mandates. He also discussed the Malnutrition Reduction Program of the Institute and the results of the 2008 and 2011 nutrition surveys focusing on stunting. According to Dr. Capanzana, a child who is stunted or chronically malnourished is shorter than normal for his or her age. Stunting, he added, starts before birth and is caused by poor maternal nutrition, feeding practices, and food quality. Stunting is irreversible and has a long term-effect. To address it, nutrition interventions are needed among pregnant women and children from birth to five years of age. The MOA signing for the production of complementary food that can cover even five nearby municipalities comes in the most opportune time to help address malnutrition and unemployment. Assistance from FNRI includes technical training for the production of complementary food, plant lay-out, looking for possible source of raw materials, and promotion of the products, among others. Witnessing the ceremony were Ms. Maria Esperanza E. Jawili, Provincial S&T Director of DOST Quezon, the Mulanay Vice Mayor Fernandito T. Baronia, Municipal Councilors, Municipal Health Officers, and other local officials of Mulanay. DAVAO CITY, April 14 (PIA) - The Philippines will host this year’s largest sub-regional trade fair and business conference that will gather the top business leaders and traders from two economic sub-regional groupings within the Association of South East Asian Nations (ASEAN). Business players from Brunei Darussalam, Indonesia, Malaysia, the Philippines, and Thailand will converge here from October 23 to 26 for the 2nd BIMP-EAGA and IMT-GT Trade Fair and Business Leaders’ Conference 2014, an international event designed to attract foreign investments and promote regional cooperation within Asia and the Pacific region. BIMP-EAGA stands for Brunei Darussalam Indonesia Malaysia the Philippines East ASEAN Growth Area, while the IMT-GT stands for Indonesia Malaysia Thailand Growth Triangle. “While both growth triangles have their respective road maps, this convergence will enhance our competitiveness by turning the sub-region into a single investment area and production network, thereby accelerating economic growth in Southeast Asia,” said Luwalhati Antonino, Chair of the Mindanao Development Authority (MinDA), the Philippine Coordinating Office for BIMP-EAGA. The international fair and business conference, which will be held at the SM Lanang Premier’s SMX Convention Center will feature a series of sub-events designed to strengthen economic, social, and cultural relations in preparation for the ASEAN integration in 2015. Antonino explained that the trade fair and business conference are follow through events to the 1st BIMP-EAGA and IMT-GT Consumer Fair and Business Transformation Leaders Conference held in Melaka, Malaysia in December of 2012, where the Philippines expressed its commitment to sustain the convergence by hosting this year’s fair and conference. Key exporters and producers in the ASEAN region will conduct sharing of strategies during the Business Leaders’ Conference, and will discuss the potential impact of the ASEAN integration on SMEs and on their participation in the supply chain. Also on the agenda are Climate Change Adaptation and the alignment of the four pillars of BIMP-EAGA, namely connectivity, food basket, tourism, and environment. Investment programs within the Mindanao Development Corridors, the island-region’s spatial development framework, will also be presented. The trade fair, which will be dovetailed by the Business Leaders’ Conference will showcase the finest and unique products of participating countries as well as current developments in the services sector, technology innovations, and investment opportunities. Business-matching sessions will be conducted simultaneously with the trade fair and the business conference. “This year’s trade fair will also bring together key business players from other ASEAN countries. We aim to highlight market and investment opportunities for globally competitive products, as well as strategies to escalate private sector participation in integration initiatives of the two growth triangles into the ASEAN market,” said Antonino. She added that the four-day activity is also a commemorative celebration of BIMP-EAGA’s 20th this year. BIMP-EAGA was launched in 1994 in Davao City as a key strategy to accelerate social and economic development of less developed areas in participating countries. TANDAG CITY, April 14 (PIA) - Three unidentified gunmen have been linked to be behind the burning of a backhoe owned by L. C. Ting Construction based in Butuan City at around 9:30pm, Sunday in Purok 1, Diversion Road, Barangay Poblacion, Barobo, Surigao del Sur, according to Officer-In-Charge (OIC) Police Provincial Director Supt. Ramir Perlito Perlas. He said that initial investigation revealed that the suspects, who fired their firearms several times after the incident, were spotted at the crime scene on board a motorcycle while the backhoe, color orange with body no. 2229 was on fire. Perlas added that before the gunmen finally fled towards San Francisco, Agusan del Sur, a streamer with anti-New People’s Army (NPA) slogan and another one with local government unit (LGU) tax campaign on it were also pulled down. AGUSAN DEL SUR, Abril 14 (PIA) - Sinabi ng Malakanyang noong Linggo na ang darating na pagbisita ng Pangulo ng America na si Barack Obama ay pagkakataon para sa Pilipinas para lalong palakasin ang tali sa ating kaalyado. “Ang nakatakdang pagdalaw ni Pangulong Barack Obama ay magsisilbing magandang pagkakataon para palakasin at gawing higit na matibay pa ang masinsin na pakikipag-ugnayan ng Pilipinas sa Estados Unidos," sabi ni Communications Secretary Herminio Coloma, Jr. sa isang pakipanayam sa media sa pamamagitan ng dzRB Radyo ng Bayan. Sinabi niya na Estados Unidos ay mahalagang kapanalig ng Pilipinas sa larangan ng depensa at seguridad, isang pang-ekonomiya, panghanapbuhay at pangnegosyong kasosyo. “Batid natin na ang Estados Unidos ang ating pangunahin at istratehikong partner sa larangan ng defense at security, at isa rin pong partner ng ating bansa sa larangan ng ekonomiya, kabuhayan, at negosyo,” puna ni Coloma. 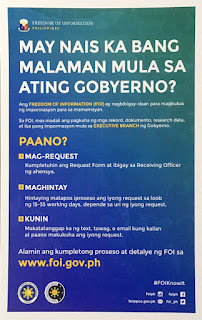 Dagdag pa niya na parehong mga Pilipino at Amerikano ay nakikitang ang pagbisita ay lalong magpapatingkad ng pagiging magkaibigan ng dalawang bansa. AGUSAN DEL SUR, Abril 14 (PIA) - Pinayuhan noong Linggo ng Malakanyang ang mga Pilipino na maggugunita ng Semana Santa na pag-ibayuhin ang pag-iingat, lalo na sa pagbibiyahe sa panahon ng mahabang bakasyon. Sinabi ni Communications Secretary Herminio Coloma, Jr. sa isang panayam sa media sa pamamagitan ng dzRb Radyo ng Bayan na ang institusyon ng pamahalaan gaya ng Department of Transportation at Communications (DOTC) at ang Metro Manila Development Authority (MMDA) ay naka-alerto para tumulong sa lahat ng motorist na nagpaplanong uuwi sa kanikanilang probinsiya sa darating na Semana Santa. “Sa pagsapit ng Semana Santa, ipinapaalala ng pamahalaan sa ating mga mamamayan ang ibayong pag-iingat, lalo na sa mga luluwas sa kani-kanilang lalawigan upang gunitain ang mga Mahal na Araw,” sabi Coloma. “Nakahanda at nakaantabay ang lahat ng kaukulang ahensya ng gobyerno sa pangunguna ng DOTC, Kagawaran ng Pagawaang Bayan at Lansangan o DPWH, MMDA, at ang hanay ng Pambansang Kapulisan (PNP) upang tiyakin ang ligtas at matiwasay na paglalakbay ng ating mga kababayan,” dagdag niya. Sinabi ni Coloma na ang Semana Santa ay panahon ng paggunita at pagdarasal at pagpahayag ng pag-asa na pagkatapos ng pagmuni-muni, sila ay babalik na sariwa at determinado na magpatuloy tungo sa mas magandang bukas. BUTUAN CITY, Abril 14 (PIA) - Pormal na nga gidawat ni Mayor Ferdinand M. Amante, Jr. ang gitunol sa Department of Interior and Local Government (DILG) nga Rosenbauer TLF 4000 Fire Truck alang sa Bureau of Fire Protection ning dakbayan atol sa gipahigayong Flag Ceremony sa City Hall Grounds, Abril 7, 2014. Ang maong ekipo usa ka 1000-gallon water-pumper ug adunay 4-door MAN TGM 18.240 diin makaakomodar kini ug seven-passenger seating. Aduna kini kapasidad nga makapagawas ug tubig nga 2,400 litro kada minuto ug makaabot sa kalay-on nga 62 metro pinahigda ug 24 metro pinatindog. Aduna pud kini duha ka hose nga madali-dali ug gamit samtang giandam ang uban pang mga hos niini. Sa mensahe ni BFP regional director SSUPT Mario Socorro C. Timonera, giasoy niining palaran ang syudad sa Butuan tungod kay nakaangkon kini sa maong ekipo. Gibutyag usab niini nga sa umalabot nga panahon, adunay pay mga bag-ong ekipo nga ipangtunol alang sa Butuan. SURIGAO DEL SUR, Abril 14 (PIA) - Ang Malakanyang kagahapon mipahimangno sa mga Pilipino kinsa magasaulog sa Semana Santa ug igong pagpngandam ug pag-amping, ilabi kon kini mobiyahe pa dungan sa hataas nga panahon sa bakasyon. Si Communication Secretary Herminio Coloma Jr. miingon sa usa ka press briefing nga gipasibya pinaage sa dxRB Radyo ng Bayan nga ang mga institusyon sa gobyerno sama sa Department of Transportation and Communications (DOTC) ug ang Metro Manila Development Authority (MMDA) alerto alang sa pag-asister sa tanang motorist nga mobiyahe aron sa pagsaulog ug Semana Santa didto sa mga probinsiya. “Sa pagsaulog sa Semana Santa, nagpahimangno ang atoang gobyerno sa dobleng pag-igmat, ilabina na sa mga mobiyahe pa sa ilahang tagsa-tagsa ka mga probonsiya aron sa pagsaulog sa Semana Santa (Sa pagsapit ng Semana Santa, ipinapaalala ng pamahalaan sa ating mga mamamayan ang ibayong pag-iingat, lalo na sa mga luluwas sa kani-kanilang lalawigan upang gunitain ang mga Mahal na Araw)," sulti ni Coloma. “Andam ug naka estambay ang tanan nga dunay kalabotan nga mga ahensya sa pagpanguna sa DOTC, DPWH, ug ang ga kapolisan aron sa pagsiguro nga luwas ug hapsay nga pagbiyahe sa atoang mga kababayan (Nakahanda at nakaantabay ang lahat ng kaukulang ahensya ng gobyerno sa pangunguna ng DOTC, Kagawaran ng Pagawaang Bayan at Lansangan o DPWH, MMDA, at ang hanay ng Pambansang Kapulisan (PNP) upang tiyakin ang ligtas at matiwasay na paglalakbay ng ating mga kababayan)," dugang pa niya. Sumala pa ni Coloma, ang Semana Santa mao ang panahon alang sa pagpamalandong ug pag-ampo, ug nagpahayag sa paglaum nga human sa panahon, sila mobalik ug determinado sa pagpadayon sa usa ka mas maayo nga ugma. BUTUAN CITY, Abril 14 (PIA) - Agi’g paghandum sa sakripisyo ug pakigbisog sa mga beterano atong milabay nga Ikaduhang Pangkalibutanong Gira, gisugdan sa usa ka Wreath Laying Ceremony ang pagsaulog ning dakbayan sa ika 72 nga Araw ng Kagitingan didto sa Veterans Monument, Butuan City Library Compound, Abril 9, 2014. Sa mensahe ni Mayor Ferdinand M. Amante, Jr. pinaagi kang Vice Mayor Angelo S. Calo, gipaabot niini ang pagsaludo sa mga beterano sa ilang mga sakripisyo alang sa atong nasod. Isip usa ka public servant, giawhag pud niini ang tanan sa pagsundog sa maong buhat pinaagi sa pagtabang sa mga nanginahanglan. Nanghinaot usab ang mayor nga ang kalayo sa patriyotismo ug kabayanihon magpabiling nagsiga sa kasing-kasing sa matag usa. Samtang gipadayag usab ni Cong. Lawrence Lemuel H. Fortun ang pagtahod niini sa mga beterano sa ilang mga nabuhat ug nanghinaot kini nga ang mga nagpabiling buhi nga mga beterano amumahon sa matag usa, ug ang pagtamod sa mga panahon samtang kaauban pa sila hilabina sa maong selebrasyon.